The current bull market has been defined by a risk-on attitude from investors. Over the past several years, investors have been willing to take on additional risk in the equity markets due to robust growth potential, and as such, riskier names with big growth profiles have out-performed. But the market’s risk-on attitude is starting to taper back some. Interest rates are rising. The Federal Reserve is unwinding its balance sheet. Economic growth globally is slowing. Government debt levels are high. Overall, macro risks in the market are bigger now than they have been in recent memory, and as such, investors are adopting a more risk-adverse mentality than before. What is the investment implication of this? It is probably a good time to shift money into cheap stocks with low risk profiles. I don’t think you throw in the towel on growth names. The fundamentals remain strong, and growth stocks should still do well. But, just in case a Black Swan emerges which hits growth stocks hard, it is smart to hedge by owning some cheap stocks that will offset that potential blow. Which stocks should you buy? Here’s a list of 15 of my favorite cheap stocks with low risk profiles. The bull thesis on AT&T (NYSE:T) is pretty simple. This is a telecom giant that provides one of the most important utilities in the known world today: the internet. 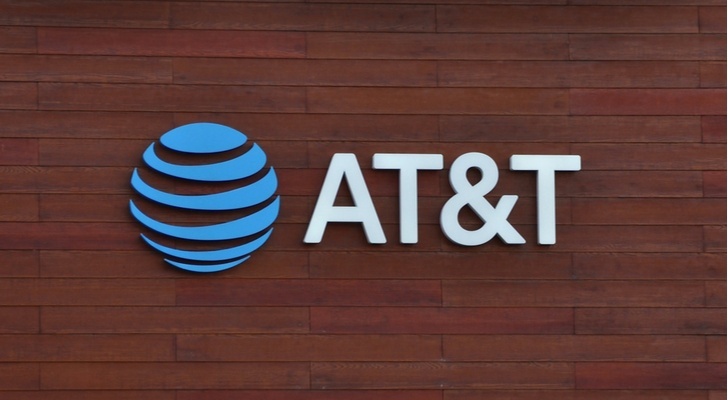 AT&T also provides wireless service coverage and cable connectivity. Demand for internet and wireless services will not waver, regardless of economic backdrop or rising rates, because they have no substitute. Cable connectivity is dropping, but should be replaced by streaming demand. Thus, AT&T offers tremendous operational stability. Meanwhile, the valuation is attractive. The forward multiple sits at just 9. The trailing dividend yield is over 6%. And, the stock is trading near multi-year lows and has shown resiliency around these levels multiple times before. Overall, AT&T stock is low multiple, big yield stock with tons of operational stability. That makes this stock an attractive risk-off investment. The bull thesis on Tyson Foods (NYSE:TSN) is also very simple. This is a very stable company with a stock that has been hammered recently because of near-term issues like higher input costs, tariff exposure and softer demand. But the world always needs to eat, and as such, the long-term demand picture overrules near-term cost issues. Once near-term cost issues fade away, TSN stock should roar higher. At current levels, it appears TSN stock has found a bottom. The forward multiple is just 10, and the dividend yield is at 1.8%, its highest level in nearly a decade. Meanwhile, the stock has show resiliency at $60, so it looks like downside risk is mitigated. Overall, Tyson Food is an operationally stable company trading at a big discount. That makes this stock an attractive pick-up at current levels. 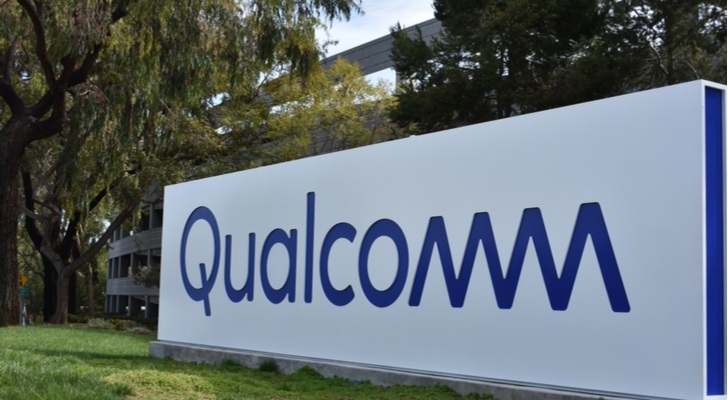 Chip giant Qualcomm (NASDAQ:QCOM) has had some struggles recently. Most notably, the company has been in litigation with Apple, and the Apple business is something that can no longer truly be counted on. But, Qualcomm still makes chips which power the world of tomorrow, and as such, the company has a bright future as technology expands its sphere of influence globally. QCOM stock is quite cheap at current levels. We are talking about a stock with a 15X forward multiple and a 3.6% dividend yield. Historically speaking, QCOM stock trades at a much bigger multiple with a much lower yield. Overall, QCOM stock offers attractive upside here because of a relatively discounted valuation converging on still-strong growth fundamentals. That combination should power this stock higher from current levels. Another historically stable chip stock with a relatively anemic valuation is Intel (NASDAQ:INTC). 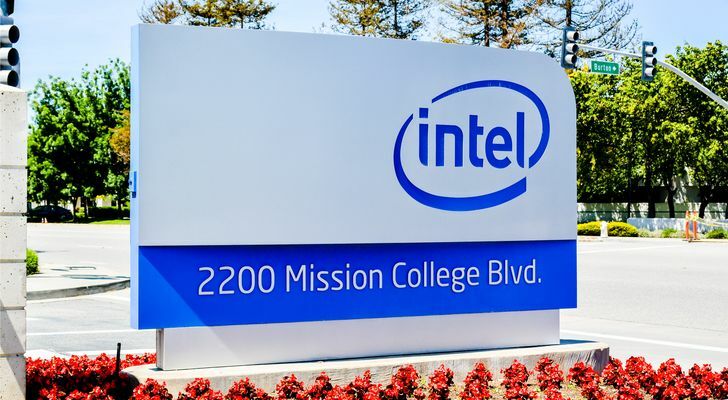 Long story short, Intel stock has dropped in a big way over the past several months because competitor Advanced Micro Devices (NASDAQ:AMD) appears to be ahead of Intel when it comes to next-gen chip production. But, Intel recently announced that next-gen chip production is coming along nicely, a sign that Intel is getting ready to punch back. Once this company does punch back, history says that Intel stock should rebound. This bull thesis is supported by a currently attractive valuation. INTC stock trades at just 11X forward earnings with a 2.6% dividend yield. Those are exceptionally attractive valuation metrics for a company with robust exposure to multiple secular growth trends like AI, cloud, and IoT. Overall, INTC stock is a growth company trading at a non-growth valuation. Eventually the market will fix this disconnect, and INTC stock will pop. Back when Amazon (NASDAQ:AMZN) was eating everyone in retail’s lunch, Macy’s (NYSE:M) was a risky investment. But, traditional retail has stabilized over the past 12-plus months, and traditional retailers like Macy’s have proven their staying power through enhanced e-commerce and omni-channel commerce capabilities. As such, Macy’s is a low-risk investment with long-term staying power in a stable growth industry. 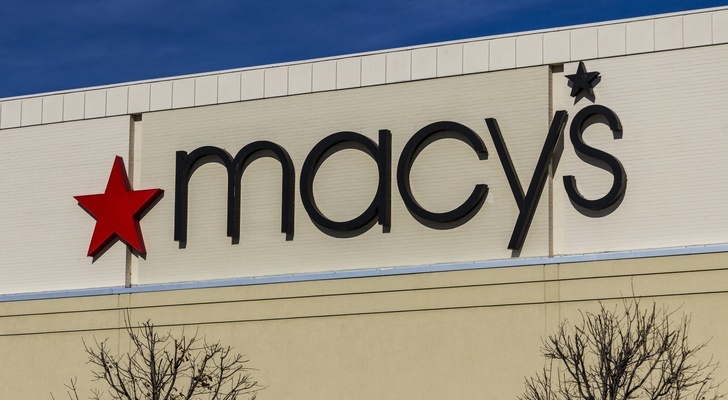 The valuation on Macy’s stock is the reason to buy this stock on the recent dip. Macy’s stock trades at 8X forward earnings with a near-5% dividend yield. Those are very attractive valuation metrics, especially considering comparable sales growth has been, is, and will remain positive at Macy’s. Overall, Macy’s stock features a dirt-cheap valuation, but the fundamentals are actually pretty good and improving. This disconnect makes Macy’s stock an attractive buy at current levels. In athletic retail, everyone loves to talk about Nike (NYSE:NKE), Adidas (OTCMKTS:ADDYY), and Under Armour (NYSE:UAA). 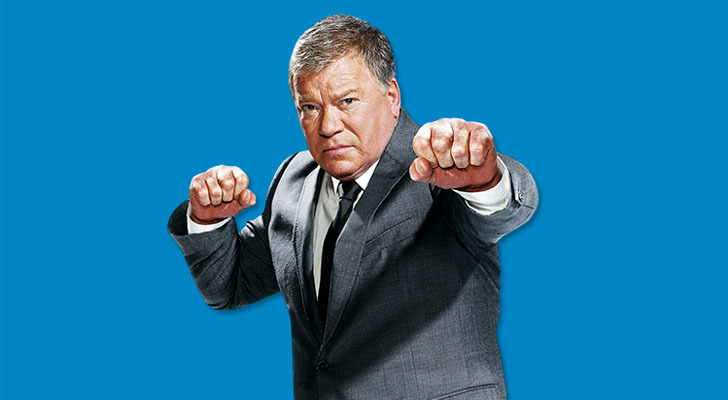 But, no one likes to talk about Skechers (NYSE:SKX). Yet, despite being the often neglected little brother, Skechers has managed to be one of the fastest-growing companies in this industry over the past several years thanks to its ability to dominate the mid-price sneaker market. 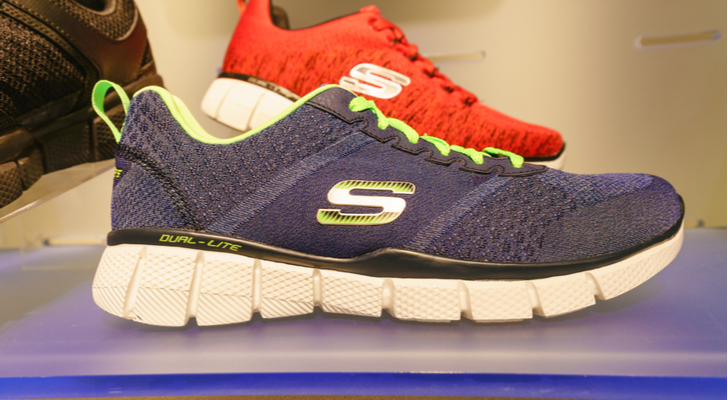 As it turns out, this market is quite big, and Skechers is just starting to realize its international potential. Meanwhile, despite being a big growth company, SKX stock trades at dirt cheap multiples. The forward multiple on the stock is just 14, versus 24 and up at peers. This disconnect isn’t justified by differences in growth. As such, it is a disconnect that shouldn’t exist. Overall, SKX stock is an attractive risk-off investment because the valuation is dirt cheap and the growth fundamentals are pretty strong. That combination implies healthy upside potential and mitigated downside risk. Although traditionally considered a growth stock, Facebook (NASDAQ:FB) has recently transformed into a value stock given huge declines in the stock price without huge declines in the fundamentals. Everyone is concerned about dropping Facebook app usage, but at the end of the day, Facebook controls four 1-billion-user apps. There are only six such apps in the world. Thus, so long as ad dollars continue to flow into the digital channel, they will find their way into the Facebook ecosystem, and Facebook will remain a digital ad growth machine. The valuation on the stock represents a huge disconnect to these fundamentals. 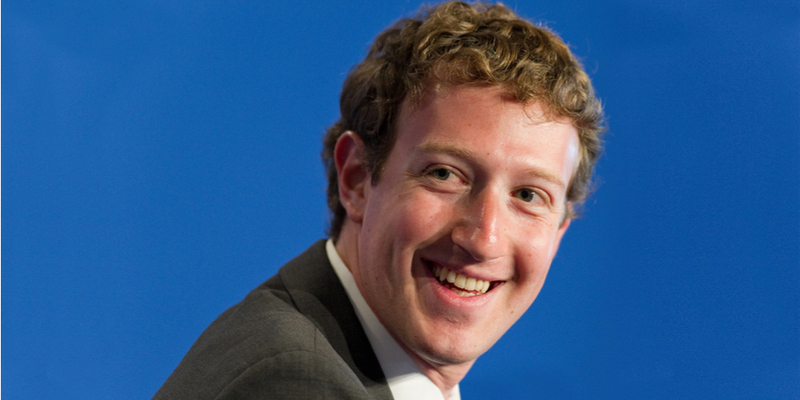 Facebook stock trades at just 19X forward earnings. Revenue growth last quarter was in excess of 40%. A 19X multiple on 40%-plus revenue growth is absurdly cheap, even when factoring in the concerns about the lawsuit currently in the courts over their ad numbers. Overall, FB stock offers attractive upside potential here because the valuation has depressed enormously while growth fundamentals have remained strong. Eventually, the market will realize this, and FB valuation and stock will correct sharply higher. 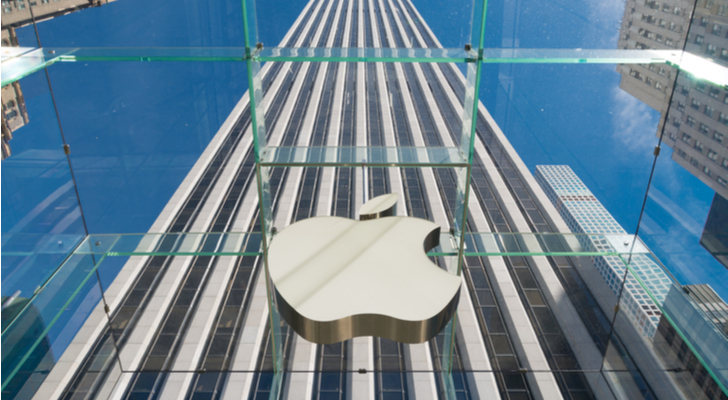 Consumer technology giant Apple (NASDAQ:AAPL) is perhaps the textbook definition of stability, especially since the company is diversifying away from hardware revenue dependence. Before, Apple was all about iPhones. But, as we all know, not every iPhone upgrade cycle is a home run, so Apple stock was subject to wild swings. Today, though, Apple is much different. The company is building out a software business which comprises mostly annually recurring subscription revenues. Thus, revenue today is much more predictable and safe than it was a few years ago. Because of this, AAPL stock trades at a higher valuation today than it did a few years ago. But, the valuation still remains anemic for a burgeoning software company. AAPL stock trades at 16X forward earnings. The whole software industry trades north of 20X forward earnings. Overall, AAPL stock is an attractive risk-off investment here because the multiple is low, and the growth trajectory is promising. That combination provides both nice upside potential and healthy downside protection. 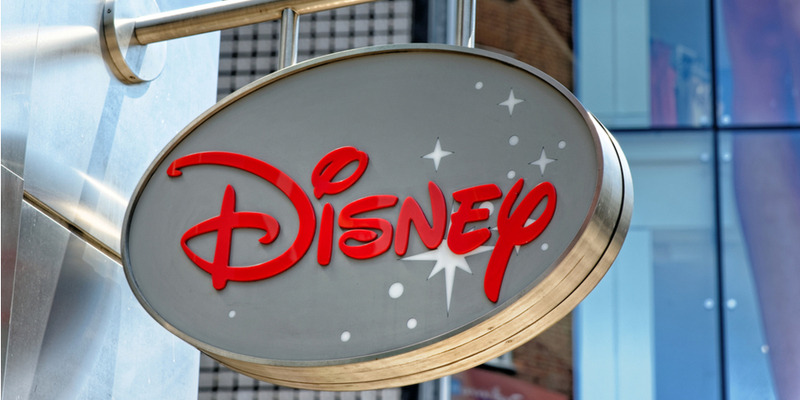 The long-term bull thesis on Disney (NYSE:DIS) is only strengthening as this company continues to grow its content war-chest. From head to toe, Disney owns the best and most valuable content in the world. This content has dominated the box office and has allowed Disney to dominate in the theme parks business, too. Next up, Disney is going to dominate the streaming world with its robust content slate, and as a result of streaming strength offsetting traditional media weakness, Disney stock should fly higher. The valuation lends itself to a pop in DIS stock on a positive catalyst. The stock trades at just 16X forward earnings with a 1.4% dividend yield. Those are very reasonable multiples for a stock that supports one of, if not the, most iconic brand in the world. Overall, DIS stock looks good here because its biggest headwind (cord-cutting losses) is about to turn into its biggest strength (streaming growth), and the current 16X forward multiple doesn’t account for this. After McDonald’s (NYSE:MCD), the next most important and irreplaceable fast-casual company in the world is Yum Brands (NYSE:YUM). 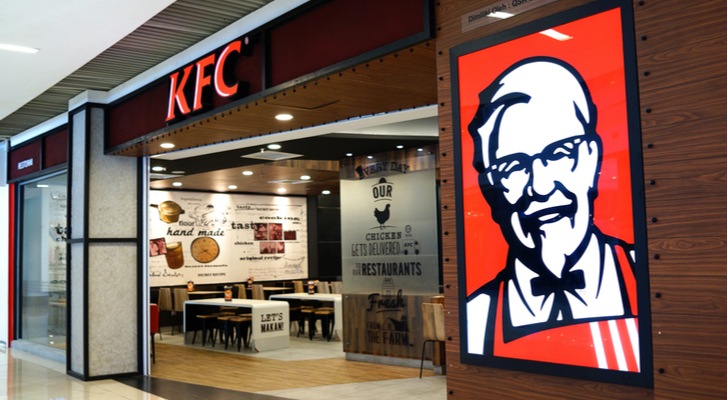 Yum is the parent company of KFC, Taco Bell and Pizza Hut, three fast-casual chains with enduring appeal and huge global footprints. Unless consumers en masse decide to stop eating fast food (which they almost assuredly never will), then YUM’s operations will consistently benefit from stable growth. The valuation on YUM stock isn’t all that cheap. But, it is cheap for a company with as much stability as Yum Brands. YUM stock trades at 24X forward earnings with a 1.6% dividend yield. Those aren’t all that attractive by themselves. But, when considering growth is expected to run at a very stable double-digit rate over the next several years, 24 seems like a fairly reasonable forward multiple. Overall, YUM is one of the more stable companies in the world with a stock that features a reasonable valuation. As such, if you’re looking to add stability to your portfolio, YUM is the way to go. 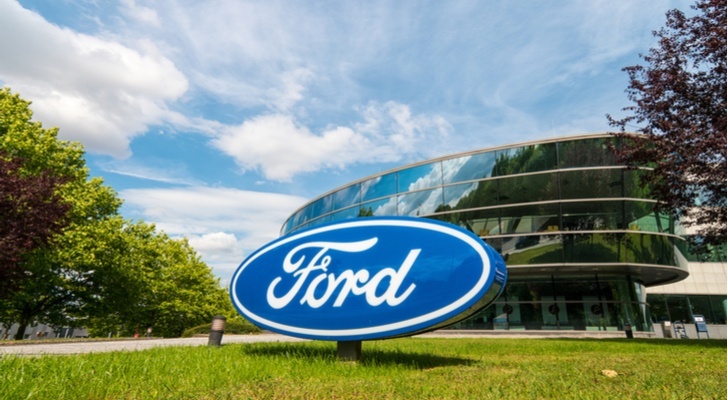 Although the electric vehicle revolution is starting to pick up steam and will only accelerate from here, it would be foolish to write off Ford (NYSE:F) as dead in the water. Eventually, Ford will pivot more strongly to accommodate changing consumer demands, and produce a ton of electric vehicles. They have already started working on a partnership with DHL to make all-electric vans for the company and is targeting Chinese consumers with a range of electric cars. Granted, Ford’s market share of the whole auto market will erode over time as new EV competitors step up. But, Ford should remain a sizable player in the auto industry for the foreseeable future. The valuation does not reflect this optimism. Ford stock trades at levels not seen since the 2008 Recession. The forward earnings multiple is around 6.5, and the dividend yield is near 7%. Those are dirt-cheap valuation metrics. Thus, so long as Ford can compete in the long run with rising EV competition, this stock should pop higher from here. The world always needs to eat, and most people need grocery stores to buy food. Because of this, grocery store operator Kroger (NYSE:KR) is a stable operation with healthy long-term growth prospects. That stability was recently threatened by e-retail encroachment. 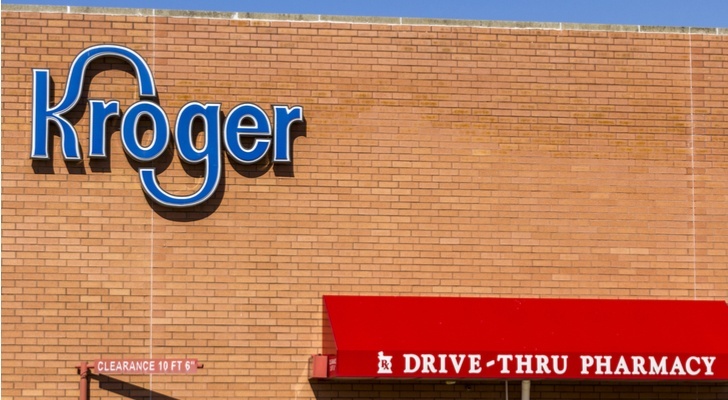 But, it turns out that consumers like to shop for groceries at a grocery store, and as such, Kroger has long-term staying power in an exceptionally stable industry. This stability does not seem priced into the current valuation. Kroger stock trades at merely 12X forward earnings with a near 2% dividend yield. Normally, this stock trades at 15X forward earnings with a sub-1.5% yield. Thus, today’s valuation feels unnecessarily pessimistic. Overall, KR stock is a buy because valuation has depressed to levels that undervalue the company’s staying power in a stable growth industry. As such, KR stock has nice upside potential and limited downside risk. Traveling is part of the human experience, and as a result, Booking Holdings (NASDAQ:BKNG) is part of the human experience, too. So long as consumers want to travel, Booking will have solid demand. The only thing that will knock this demand is economic weakness, but while global economic growth is slowing, it isn’t projected to slow by much, and the overall economic picture remains healthy. Thus, the outlook for travel remains healthy, and the fundamentals supporting BKNG stock remain strong. BKNG stock isn’t as cheap as some other names on this list — the stock trades at over 18X forward earnings. But, growth is big, with long-term EPS growth estimates hovering around 15%-20%. A 20X multiple for 15%-20% earnings growth in a stable company is a fairly attractive investment proposition. Overall, BKNG is an attractively valued stock that offers a healthy combination of growth and stability. This combination should ultimately power BKNG stock higher, so long as valuation remains reasonable. Although higher rates tend to spook stocks, they actually help bank stocks by pushing up borrowing costs and allowing banks to collect more net interest income, which is a big profit driver. As such, bank stocks are a fairly decent portfolio addition at this point in time. 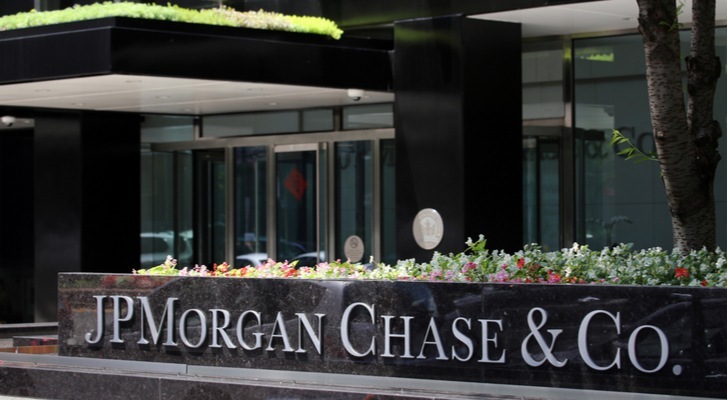 In the banking sector, the one stock I like most is JPMorgan Chase (NYSE:JPM), given the company’s leading advantages in technology and rising popularity among millennial consumers. The valuation on JPM stock isn’t anything out of the normal. The forward earnings multiple is around 11. The dividend yield is around 2.9%. Those are fairly normal valuation levels for JPM. But, considering growth should be better than normal over the next few years as the economy improves, the current valuation levels seem attractive. Overall, JPM is the top pick in a sector that should be fairly resilient to interest rate risks. As a result, this is a good stock to own so long as rising rates continue to pressure equity valuations. Utility stocks have long been viewed as bond substitutes. As such, utility stocks might not do so well as rates and bond yields rise. But, one utility stock that could buck the trend is American Electric Power (NYSE:AEP). 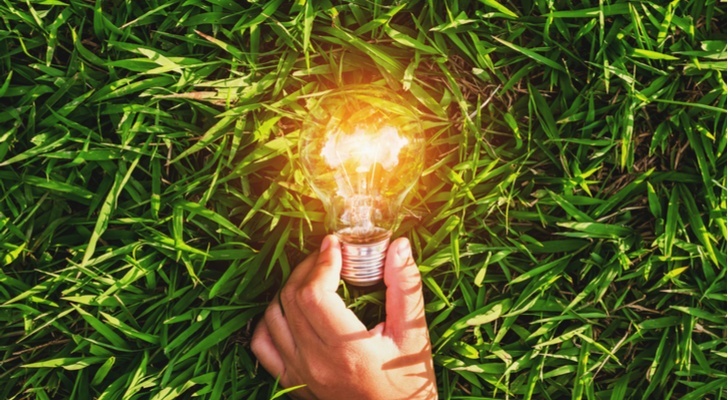 Considered one of the industry’s heavyweights, American Electric is a massive electric utility company that delivers electricity to more than 5 million customers across eleven states. As a utility company, demand is always stable. But, the business right now is doing especially well. Hotter than normal weather so far in 2018 has buoyed operations for the past several months, and robust economic strength in the company’s core markets has also boosted the business. Overall, sales and earnings are both trending higher at a healthy rate. AEP’s dividend yield sits at a very healthy 3.5%. The forward earnings multiple is at attractive levels of around 18, which is in line with historical standards. Thus, today’s valuation on AEP stock is fairly normal, but fundamentals are actually better than normal. Overall, AEP stock should perform well regardless of macro-market risks because of solid and stable fundamentals as well as a reasonable valuation. From this perspective, AEP is an ideal cheap stock with a low risk profile. As of this writing, Luke Lango was long T, TSN, INTC, AMZN, M, SKX, FB, AAPL, DIS, MCD, F, KR, JPM and AEP. 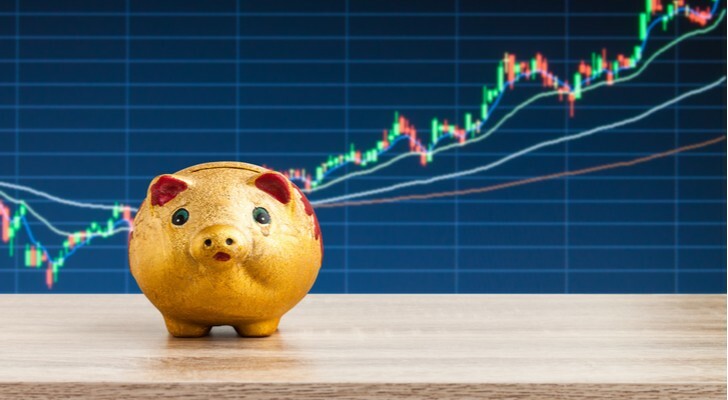 Article printed from InvestorPlace Media, https://investorplace.com/2018/10/15-cheap-stocks-with-low-risk-profiles/.